or choose a thicker 16pt card. Both deliver vivid color as well as exceptional durability. 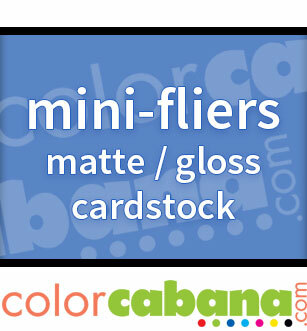 14pt cardstock or optional 16pt cardstock - matte or gloss uv finish - both deliver vivid color. NOTE: 100lb. card available with certain sizes only. For orders of quantities or stocks not listed, please submit a custom quote request.